PARDOT should be driving revenue for your business, not just costing you money. Pardot was the solution that was going to solve everything. You were going to close deals faster, manage leads better, prove your value to skeptical sales teams & improve your marketing ROI. that you need to focus on, to make the most of your investment and keep your business rocketing ahead. DOES YOUR PARDOT NEED A TUNE-UP? Yes, Pardot is a great investment, but are you truly realising it's benefits? Are you bogged down and not as enthused as when you first signed-on? Whether you're new to your Pardot instance, or you just want to see how you're doing, we can perform a Pardot Marketing Automation Audit for your business. This will help you identify ways you can optimise your marketing efforts and see what features you could be utilising more. Getting an Audit will help you avoid awkward or career limiting questions about the viability and usefulness of Pardot and the fees your business pays to use its tools, in the future. Your internal staff resources for maintaining Pardot. Your organisation is paying to use Pardot, so improving how it works and the benefits it can offer your business is a smart mow no matter which way you look at it. Prove how Pardot can make your sales team's life easier and help your business meet revenue goals, by delivering qualified, informed prospects to help reps focus on the ideal leads. Enable your marketing to reach more of the right people, with the right message, at the right times. Be laser focused with your messaging and offers without hiring more resources. Pardot handles the repetitive workflow tasks like reporting, funnel management, and emails for you, allowing you to finally find time for the important work of product launches, strategy, messaging, and more. Summary overview of all the parts of the Pardot being under utilised, as well as a review of Users, scoring rules, page actions, custom fields, connectors and security. Good database hygiene helps you identify the most engaged prospects, protects your sending reputation, and may help increase your ROI. It is important to ensure that forms and completion actions are doing their jobs, so that the right prospects are going into your Pardot account. Because your emails & landing pages form the foundation of your lead generation efforts, it's important to check their performance and use. When properly used, Lists and Prospect segmentation groupings can help you design and execute much more efficient targeting strategies. Drip Programs are vital for increasing the coverage of your marketing campaigns and nurturing leads that may not be sales-ready. Review of your current Scoring and Grading models, as this is essential to qualifying leads for your sales team and improving your results. Dynamic content & Custom re-directs are some of the most powerful, yet underused functionalities of an automation system. The data shared between Pardot & Salesforce will be reviewed, to see what information is shared, identify what can be improved and how that Pardot Information appears to your Salesforce users. 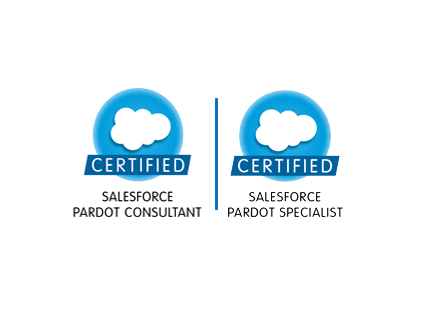 Your Pardot Audit will be completed by a Double Certified Pardot professional, with experience in successfully implementing and auditing Pardot for many different organisations. The Pardot knowledge, combined with over 20 years of Online marketing experience is utilised in a strategic, consultative approach, based on a client's business practices and marketing efforts, to assist clients in applying best practices to maximise efficiencies and find value in the Pardot. Honestly, if you don't get value from the audit, we will give your money back. HOW SIMPLE IT IS TO GET STARTED? 1 Complete the form and let us know which version of Pardot you are running, to request your Audit. 2 We send you a no-obligation quote for the Audit, suitable for your version of Pardot. 3 You accept the quote and provide us with short-term Pardot access so we can take a look under the hood. 4 A detailed Audit report will be supplied back to you, with items to review and action points to consider. You then implement these recommendations and look like a Pardot Marketing Star! It is time for Pardot to stop being a cost centre and become a valuable revenue driver! Fill in the form to request your audit.